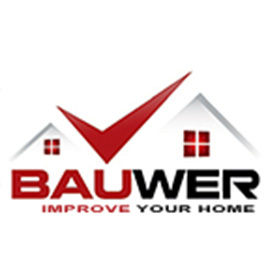 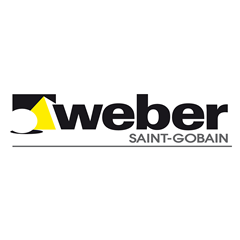 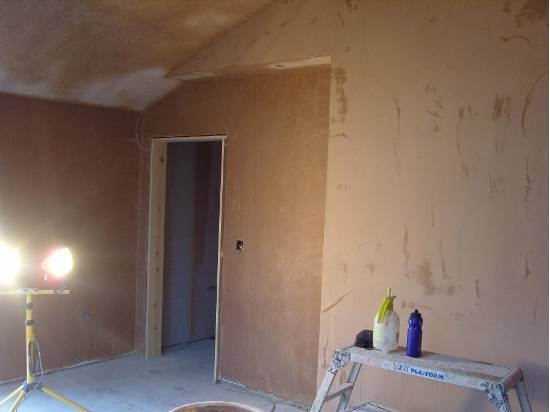 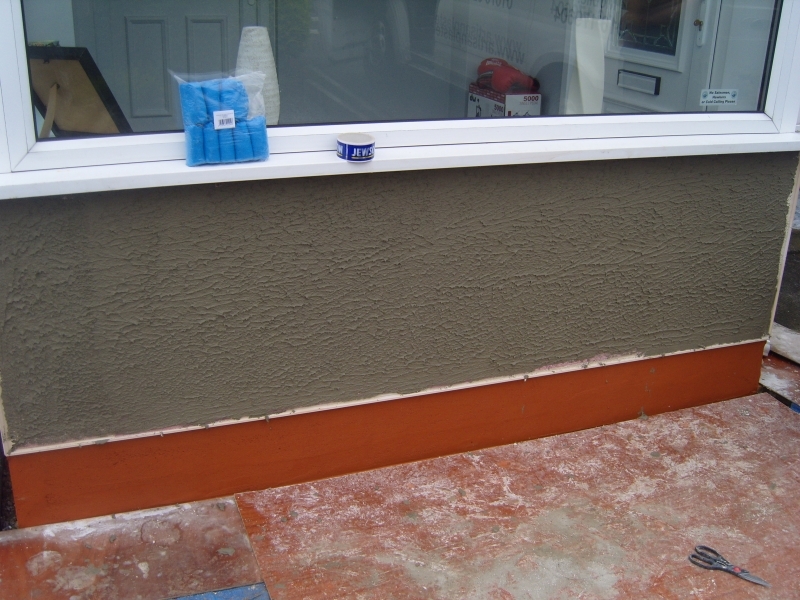 This project was the application of a Monocouche coloured render system using Weber render. 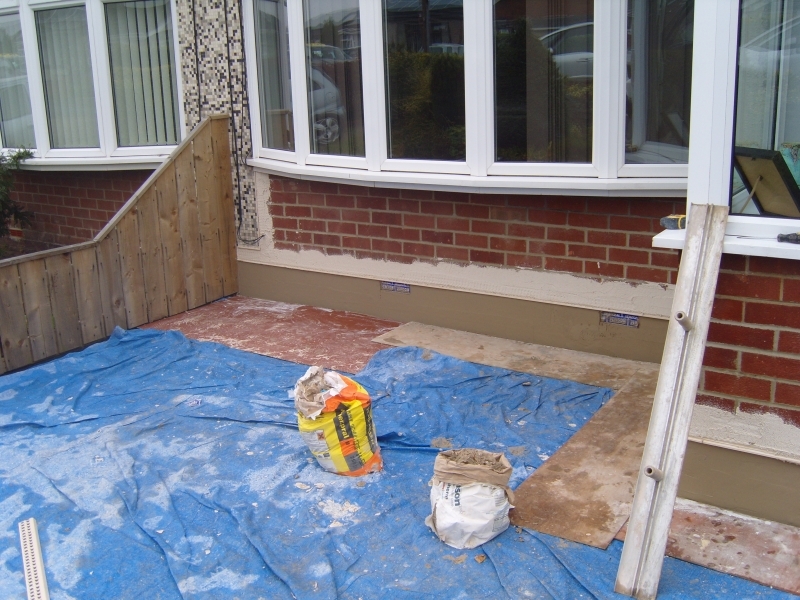 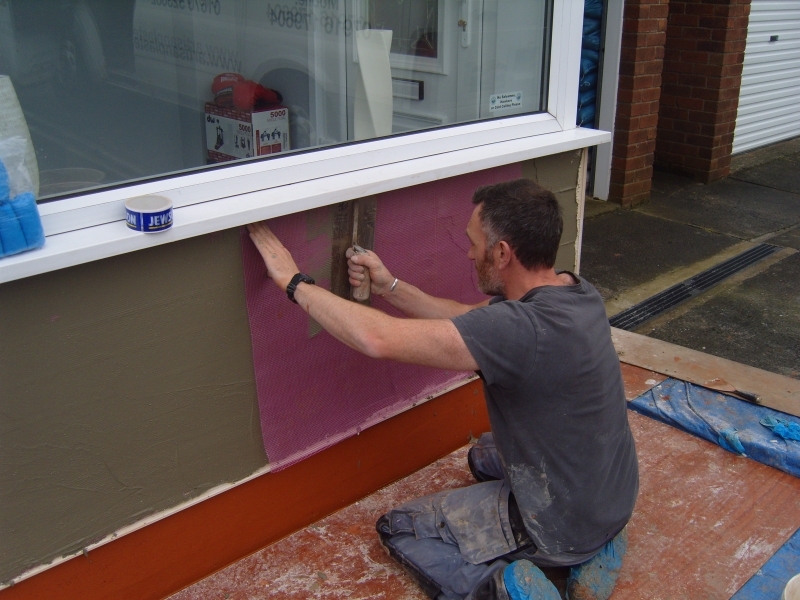 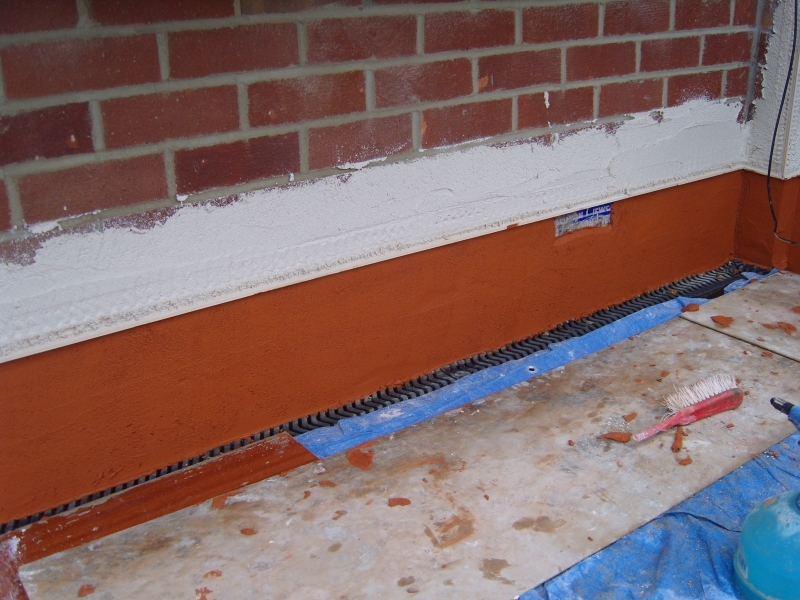 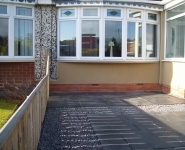 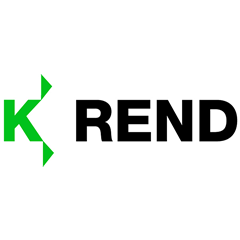 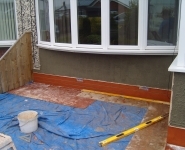 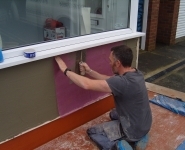 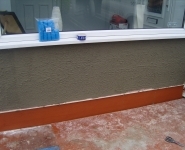 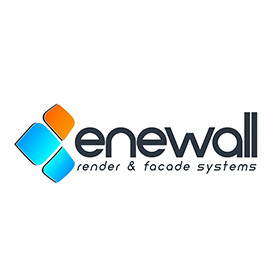 This comprised of a render key coat (Rendaid) incorporating fibre mesh & a top coat of coloured render. 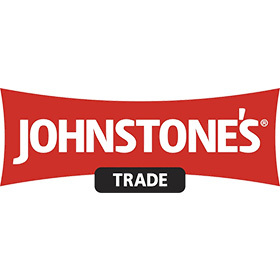 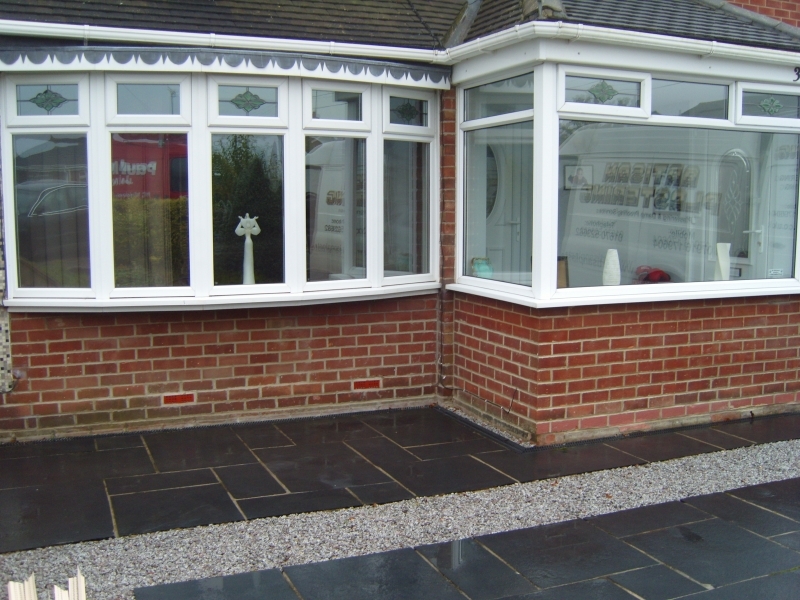 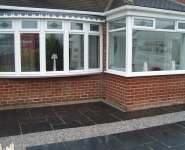 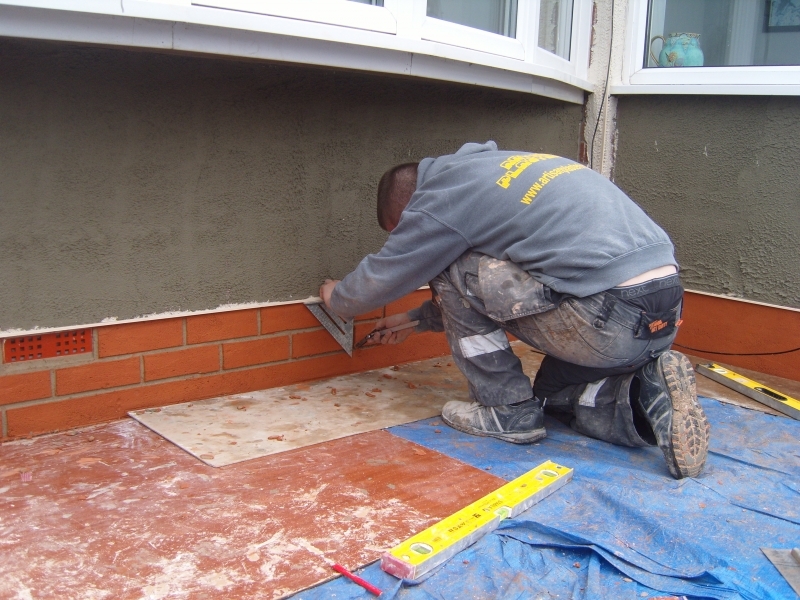 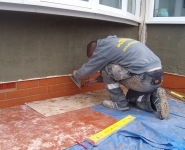 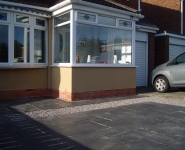 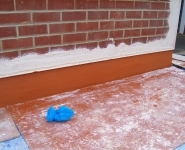 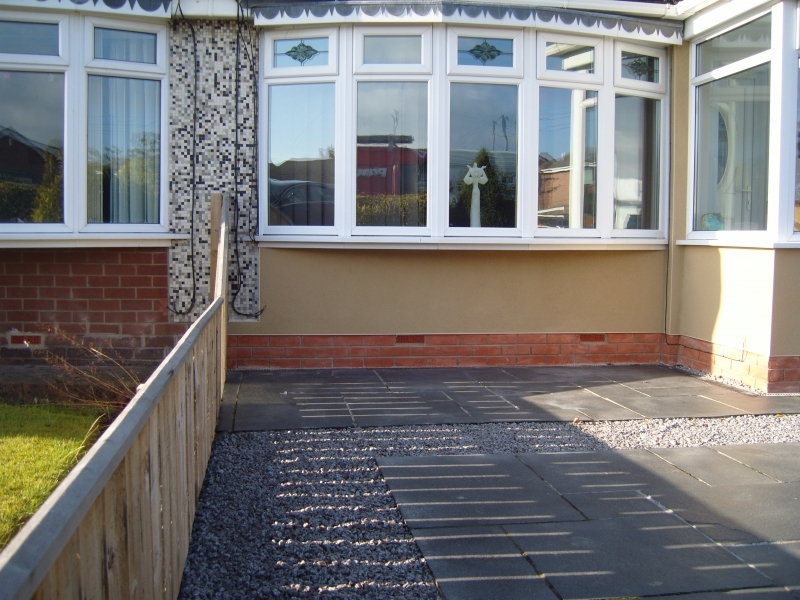 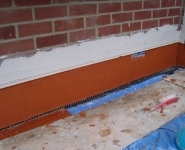 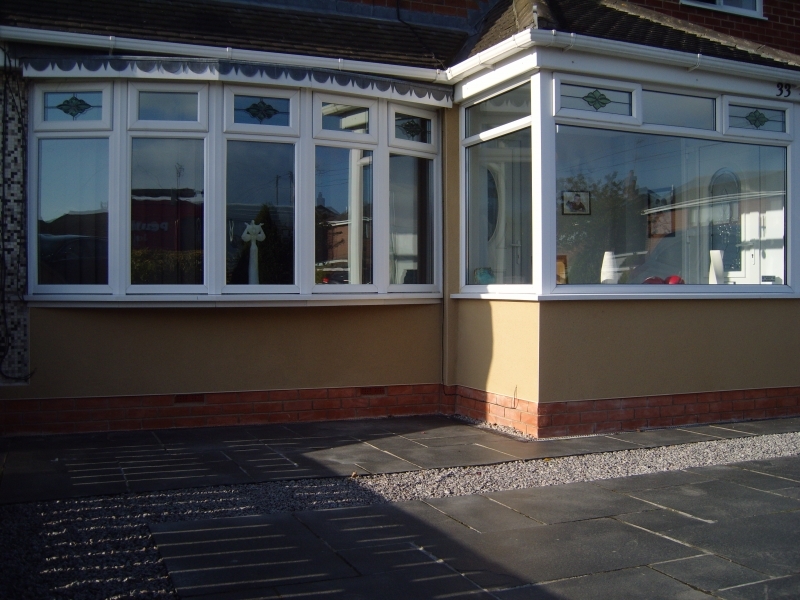 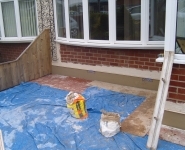 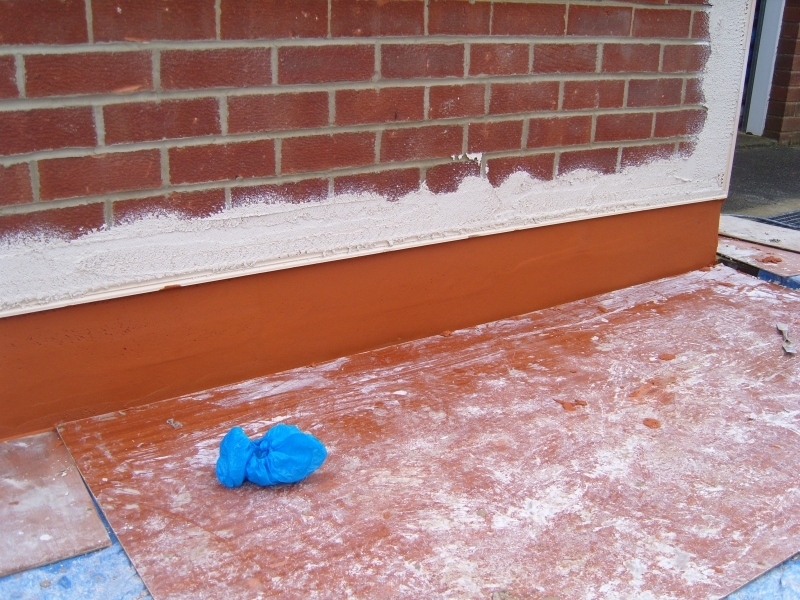 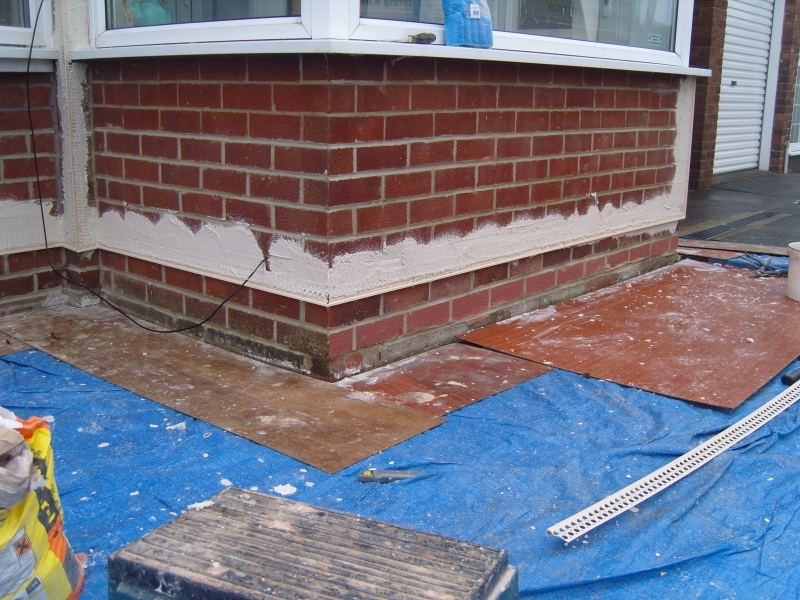 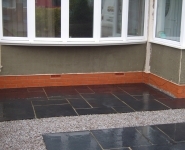 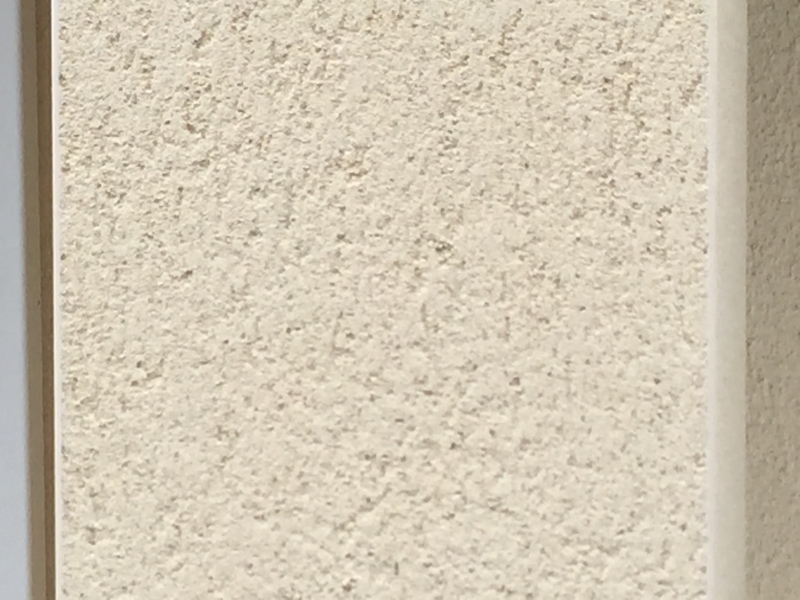 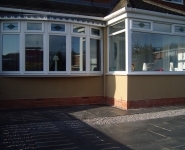 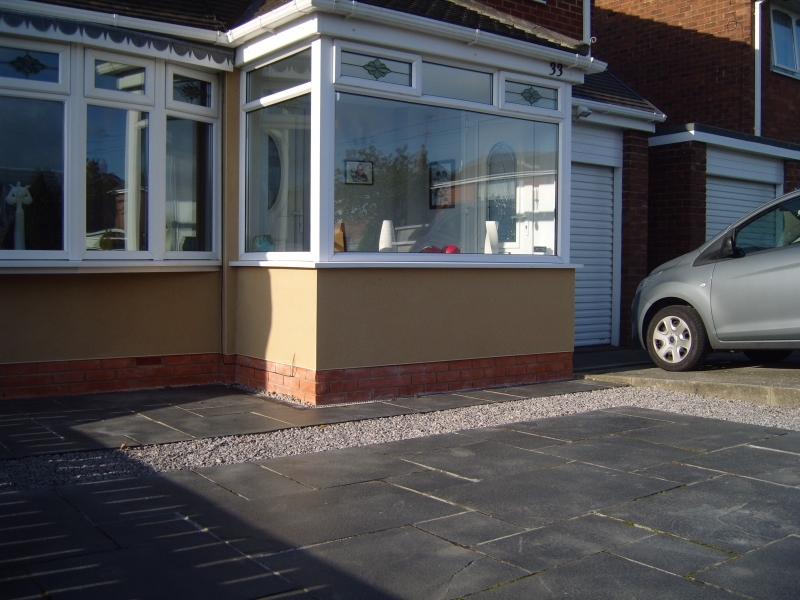 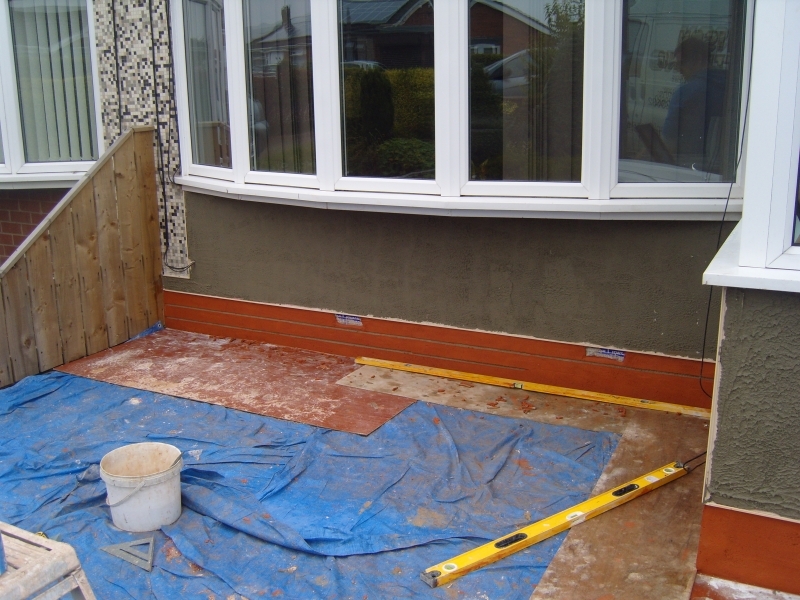 A brick effect render plinth was applied by using a render basecoat as the mortar colour with a brick coloured render over the top which is then textured. 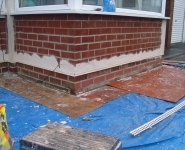 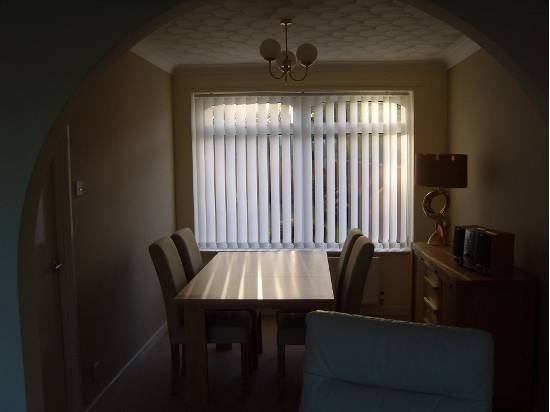 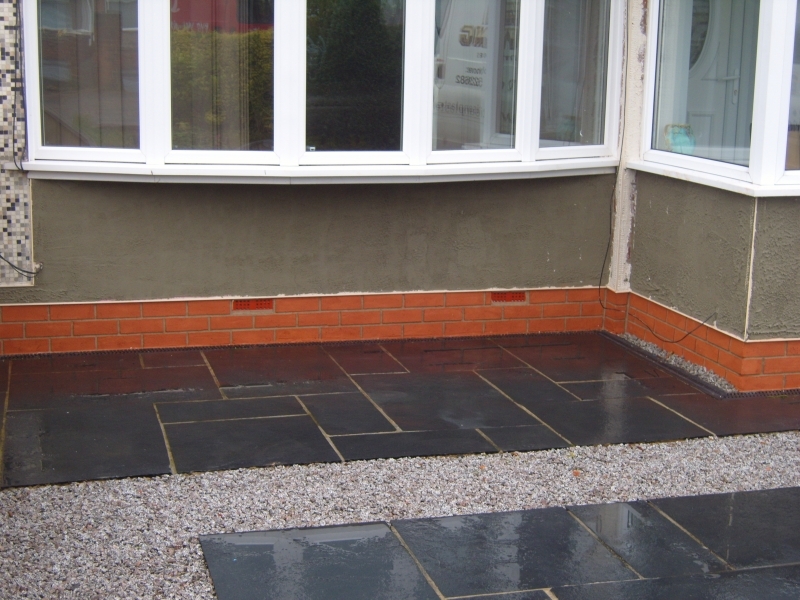 The brickwork effect is cut out exposing the mortar colour.